Iran, Dec. 13, 2018 - Universities in Iran are different from everywhere else in the world. Maybe the world doesn’t know what the meaning of student protests in Iran is. Maybe the world doesn’t know that since the mullahs rose to power in Iran, universities and students have become subject to the most violent repression. 90 percent of the political prisoners of the 1980s were students. Out of 20,000 documented martyrs from over 120,000 members of the PMOI/MEK who were killed by the Iranian regime, 734 were university graduates majoring in science, 4,010 were also university graduates in other fields and 3,510 were university students. As Khomeini seized power in Iran, he made no secret of his opposition to science and described universities as the great enemy of the people. “The roots of all problems that humankind is facing is in universities,” Khomeini said in 1980. Since then, Khomeini tried to place universities under the authority of reactionary clerics. He infiltrated his military into the universities. In 1980, under the pretext of “cultural revolution,” he fired more than 46 percent of the scientific board of universities. The Iranian regime has established all sorts of institutions tasked to control universities. Students Basij, University Security, Cultural Revolution Council and the Students Discipline Committee, University Jihad, and the Leader’s Representative’s Office are just a few of these institutions. Moreover, the regime specifies student quotas for repressive bodies such as the IRGC and Basij. These quotas occupy a considerable percentage of the slots available to Iranian students every year.  This is a policy that the regime has adopted since a long time ago, building so-called “free” universities (Daneshgah-e Azad) that are in reality private companies that the regime authorities use to plunder the wealth of the people. When you fill the universities with security agents and people who are loyal to the regime and are tasked with controlling the students, the only natural result is a pushback by the students of Iran, who want to live in a free country and want to build their future based on international norms and values. And the uprisings and demonstrations of the students, which happen on a regular basis, are the testament to the failure of the ruling regime in trying to contain and control universities and suppress the aspirations of the young Iranian generation.